In the trading of call options, call buyers get the opportunity and call sellers get the money and an obligation to perform. Selling properly selected call options will generate income for a trading account. 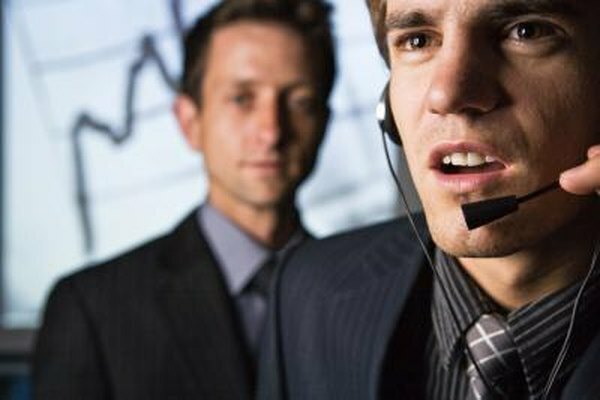 However, both broker requirements and the risk profile make selling calls a difficult strategy to employ. Using vertical spreads to generate call income gets around those difficulties. Selling call options for the premium income is called naked call writing. The call seller must deliver the underlying stock if the options are exercised, and since the calls were sold naked, the option seller must go into the market and pay the current share price to get the shares to deliver for the exercised option. If the stock has gone up significantly in value -- a reason why the option would be exercised -- the call seller could realize a significant loss on the sold calls trade. Due to the risks of naked call selling, brokers will only allow very experienced traders with large account balances to employ the strategy. The price and risk of a sold call option depends on the exercise or strike price of the option. The lower the strike price, the bigger the premium the call seller receives. However, for the sold call trade to work, the stock price must be -- or move -- below the strike price by the expiration date. A call vertical spread for a credit consists of selling a more expensive, lower strike price call option and, at the same time, buying a call with a higher strike and a lower cost. The income for the trade is the difference between the costs of the two options. The purchased option puts a cap on the potential risk if the stock goes up instead of down. To trade a vertical call spread for credit, select a call option with a strike price that you believe will be above the stock price at the expiration date of the options. Then select a call with a higher strike price. You will sell the low strike call and buy the high strike call. The options trading system of your brokerage account will let you select the two options and the trading strategy -- vertical call spread; you'll then be taken to an options trading screen with options data already populated. You must sell and buy an equal number of options contracts for the two legs of the trade. Make sure the trade is set up as a credit to your brokerage account. To trade vertical call spreads, your brokerage account must be approved for options trading with trading authority for spreads. Option authorization is added with some additional paperwork you must complete. A vertical call spread for a credit may also be called a short call spread or bear call spread. The maximum potential loss on a vertical call spread is the difference between the strike prices minus the credit received for the trade. One option contract covers 100 shares of stock, so the premium and cost of an option are 100 times the quoted price.